Russian shares are rushing deeper into good value territory. This creates the crazy idea that we should have investments in Russian equities. Falling oil prices will put a great crimp on Ecuador’s economy. This will create some good values in Ecuador real estate so some value opportunity may arise. The western world has been fighting since, but great progress has been made. There is little reason to assume that more progress won’t come. See why Russian investments may make quite a lot of sense now. First, a reminder. Tomorrow is the last day to order fresh Ecuador roses for Christmas and help the children of Ecuador. A November message at this site looked at how to use iShares MSCI ETFs as an investing vehicle for the Keppler Good Value Country Selection Strategy. There are 22 good value markets and the message showed 19 good value equity ETFs ranked by Keppler Asset Management. iShares has an MSCI Index ETF that offers a diversified portfolio in each of the markets, except the four Eastern Europe good value markets (Hungary, the Czech Republic, Poland, Russia). iShares has only one ETF that covers all four of these markets, the MSCI Emerging Markets (EM) Eastern Europe Index (symbol ESR). ESR tracks the investment results of an index composed of Eastern European emerging market equities. The fund seeks to track the investment results of a free float-adjusted market capitalization index designed to measure equity market performance of the following four emerging market countries: the Czech Republic, Hungary, Poland and Russia. Since Russia was making such waves in the Ukraine, I chickened out and stuck with ESR, the ETF that invested in all four of the European markets. This is not really following the strategy. By investing an equal amount in ESR as all the other ETFs, instead of choosing a diversified fund for each country, I short changed the weighting of the Eastern European countries. Luckily this has been a good move in the short term, but this is short term thinking. Long term more Eastern Europe and Russia should be in the portfolio. These markets appear riskier but this appearance of risk normally produces some of the best long terms rewards. Keppler’s Good Value Country Selection Strategy is to construct a diversified, risk-controlled, representative country portfolio in every BUY rated country, weighting approximately equally in each country. See Keppler Asset Management’s background and more about the strategy here. I could have added four times as much ESR to stay with the strategy. By second guessing the plan, I started on a slippery slope that could lead to having no strategy at all. The Good Value Country Selection Strategy is time proven. This is a way of logically investing in good value. Profit in the strategy is increased because markets react to risk by creating value. High diversification and equal weighting creates safety. By filtering out the best value markets because of apprehension I broke the strategies’ discipline and reduced the profit potential. The correction is to have four times as much ESR as the other ETFs. This would give equal weighting to all the good value markets. One year when I spoke at Jyske Bank’s Investing seminar in Copenhagen, one of the other speakers was Andrei Kozyrev, the foreign minister of the Russian Federation under Boris Yeltsin from 1990 to 1996. After the failed Soviet coup attempt of 1991, he found himself in Yeltsin’s team of young reformers, which included Yegor Gaidar and Anatoly Chubais, and shared their Western liberal-democratic ideals. This was one of the men who helped dismantle the Soviet Union. He gave an insightful speech which Merri and I really enjoyed. Even better…Merri and I were then invited to have dinner with Kozyrev. This was an incredible treat in itself…worth the entire trip….to have several hours with this man who represents so much living history. We talked about many things, why Russian bombers are flying again, will Putin remain in office and much much more. He asked that most of his replies be off the record. If, or rather, when the price of oil rises…. 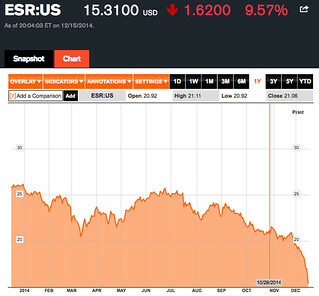 we can expect the ruble and Russian shares to regain strength. 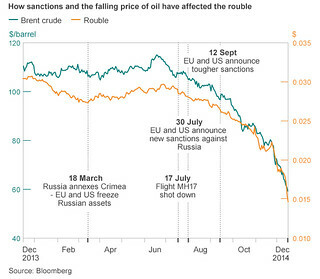 Currently Russia has a triple crunch: lower oil prices, Western sanctions and an especially strong US dollar. I am not suggesting that you speculate by investing in Russia. Logic simply suggests that if you are following a value equity strategy that you do not reduce your weighting in Russia. Being able to ignore up and down news like this is why I like the Good Value Country Selection Strategy. This strategy ignores the anxiety of the short term news. Value investing does at times require a long term horizon. Logic makes the decisions. Diversification and equal weighting eliminate the need for a strong stomach. especially hit hard along with natural resource currencies. The recent crash in crude oil has slammed energy producing currencies, including Norway, Canada and Russia. The ruble ranks as the worst OECD currency in 2014, down more than 50% against the dollar. The ENR Global Currency Sandwich which holds an equally-weighted basket of six currencies and gold, has declined a cumulative 6.86% this year. You can invest in the Global Currency Sandwich or set up a portfolio of ETFs that track the Good Value Country Selection Strategy with ETR. If you are rushing to get into or get out of investments in Russia, forget it. Unless there is something to really know and know well, let logic rather than speculation be your guide. There is always something we do not know. That’s okay because with a good value discipline you can treat stock market ups and downs with equanimity. Diversify in good value and spend your life earning and learning rather than stressing and guessing. Earn everlasting wealth and fulfillment as you reduce stress. First earn with online self publishing. The three stories below show how Amazon.com and self publishing has enriched the lives of three others. In the past, a few writers made fortunes. The rest starved. No more! The old way of writing and publishing was great… if you like the lottery. Not so good if you wanted an income for sure. 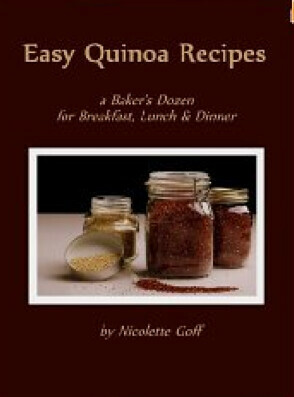 Let’s start with Nickolette Goff who is retired and loves, organic gardening, healthy cooking and visiting Ecuador. She had never published a book and after our self publishing course she wrote and promoted her first book… a Quinoa recipe cookbook with 13 recipes she garnered from her Ecuador trips. She had 10,000 downloads of the book in five days and obtained dozens of good reviews! Nicki’s husband recently wrote: Nicki, her sister and two nieces are visiting Ecuador for 3 weeks in January – Her Kindle books have paid for her trip so she loves that. Nicki’s first book sells for .99 cents and is ranked #266,764 of paid sales in the Kindle Store. Even being ranked in the 200,000 class, Nicki has earned enough to travel to Ecuador. Take Bob Gandt as another example. Yet despite an offer from a major publisher, Bob self published his latest book at Amazon.com. We helped introduce this book last April and it has reached #1o on the Military Thrillers best sellers list several times since! See Bob’s website here. Another great story is about Hugh Howey, a writer that every self publisher should meet and hear. Hugh had had just a little success with publishers, a book with modest success. Hugh self published his book Wool. Hugh was a bookstore clerk. In his spare time he wrote science fiction and began self-publishing his work on Amazon.com in 2011. Soon he was earning him over $100,000 a month on Amazon. His books made the New York Times best seller list. See Hugh Howey’s Amazon.com page here. Online self publishing allows you to lower price… increase volume and cut out a publisher, distributor and book store who normally absorb up to 88% of the income created by a book. Costs are reduced as well. 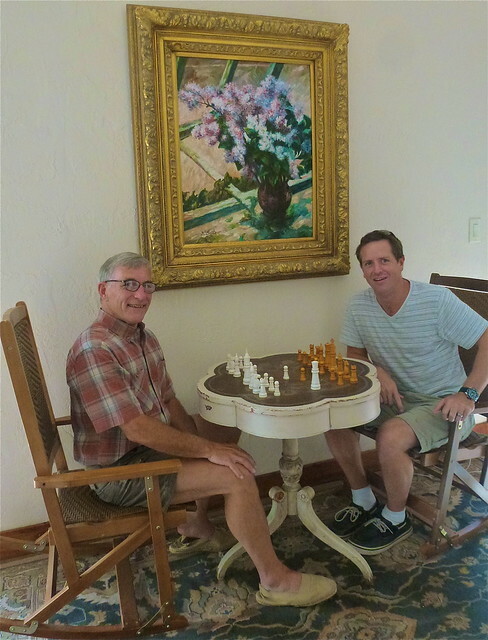 Nicki Goff, Bob Gandt and Hugh Howey all write at home with no office or staff overheads. This is how most self publishers start so all the income generated is profit. If you take advantage of this offer there is a new added benefit. You receive the basic “Self Fulfilled – How to be a Self Publisher 101”, “Self Publishing 202… How to Publish on Kindle” and our newest course “Self Publishing 303 – Tapping into the Amazon Evolution”. The goal of “Self Publishing 303” is to help writers take advantage of a new trends at Amazon.com. During the initial stages these new features offer the greatest potential. Amazon.com publishing is evolving. I have been studying, testing and publishing at Amazon.com and applying new technology offered by Amazon.com. The 303 sessions share what I learned. My wife, Merri, and I became multi-millionaires in our own self-publishing business over 40+ years. Today, we have more cars than we can drive, five homes and numerous cabins in North Carolina and Ecuador. We have a beautiful lake front home on 16 acres (with an orange grove to boot). We have no mortgages, not a penny of debt, and plenty of money in the bank. More importantly even though we are well past retirement age, we can remain active, love what we do… and make contributions to society that feel are meaningful. For example, you’ll learn about a pilot who published a book on the best airport cafés (suddenly all his flying became tax-deductible! )… how one couple who loved an island wrote a guide on the place and made enough money to buy a home on the beach there… and how another couple made millions with a simple legal idea. * My secret pricing strategies that will help you sell more units of your product. “In Self Fulfilled – How to be a Self Publisher” Merri and I give away every publishing secret we know to write to sell for a solid income. Why we’ll add the Self Published Kindle addition free. 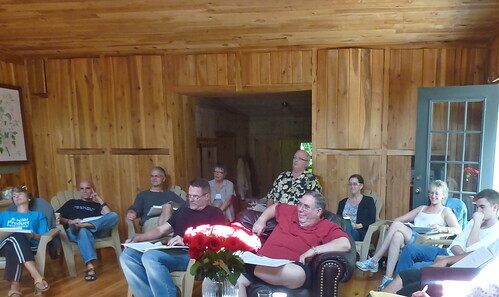 Our self publishing course has been a mainstay for almost three decades but is updated regularly. 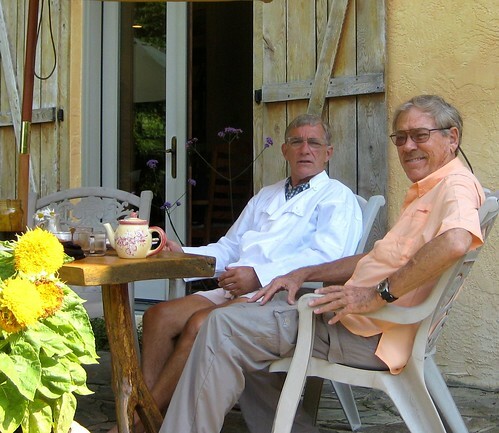 The course is based on the trial and error experiences Merri and I have had for the past 47 years… the very experiences that have made us self-fulfilled multimillionaires. We are continually adapting our business as the industry evolves. Our course helps readers evolve with us. There is more because Merri’s and my story goes beyond self publishing. We have also always earned with travel. The second way to get ahead is by getting ahead. Really. The bell shaped curve affects all trends. 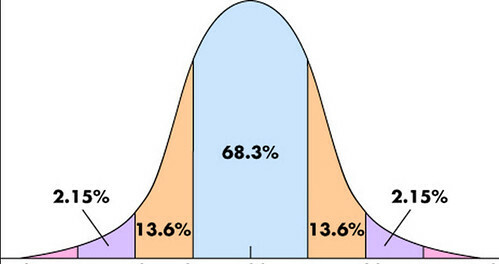 The 15.75% of businesses and investors that really get ahead are the early adopters. They gain the largest rewards. You can get ahead because a new trend is on its way. This is an era of rapid disruptive change that hits even the giants. In fact the bigger they are… the more vulnerable they become. Amazon.com for example has turned huge industries upside down… and knocked booksellers, publishers and many retail businesses to their knees, but is Amazon.com the giant that will stumble next? Our online course “Event – Full Business, How to Profit From an Events Business” teaches how to earn by conducting seminars and tours. Self publishing at Amazon.com is evolving. The idea of simply publishing and just waiting for royalties to roll in, is well along the bell shaped curve. Amazon will be with us for some time… but new technologies that can disrupt Amazon.com are already on their way. Amazon.com will change. The firm has incredible income but small profit. Amazon.com is the 1,000 pound gorilla when it comes to selling books. For how long? Just when everyone thinks they have the system figured out… a new disruption comes along. Ask the guys at Borders or Barnes & Noble! Wait… that’s right. I forgot. Borders is gone. Barnes & Noble’s retails sales have been decreasing for years. Be a Micro Amazon.com. A new trend is rising… small companies with Amazon.com like capabilities. Early adopters have a chance to get ahead of this trend by mastering the 7Ps. Our two online courses, “Self Fulfilled – How to Self Publish” and “Event – Full Business – How to Profit From an Events Business”, both teach how to use the 7Ps. The two courses work together in a synergistic way so you can create a micro publishing seminar business as Merri and I have. The 7 Ps are “For Certain” principles in this uncertain world. The 7Ps are Passion – Problem – Person – Product – Prospecting Path – Promise – Presentation and go beyond change. Whatever disruption new technology brings, the 7Ps create opportunity because they identify, reach, engage, focus and solidify customers at a profit. The Ps are really important to any writer, publisher or micro business because they transcend all forms of technology. They are a constant in an ever changing world. The 7Ps reflect an immutable logic that worked in paper based publishing before computers. They worked with computerized Cheshire labels. The 7Ps worked with jet printing on envelopes and personalized emails. They work for websites and blogs. Our Writer’s Camp and Online Self Fulfilled delegates and Event Full subscribers are using the 7Ps successfully right now at Amazon.com and in numerous micro businesses. Learn how to earn extra income by combining the 7Ps in an events business that is supported by self publishing and writing to sell. Merri and I have been using the 7Ps for over 45 years. Since May 1968 we have been paid to travel and live exactly where we have wanted to be… because we have known how to write to sell and monetize the publishing success with events, seminars, courses and tours. The combination of self publishing working hand in hand with an events business has allowed us to visit and to live anywhere in the world we have desired. Many of our courses delegates are using the 7Ps to enjoy great profits and lifestyle as well. This reader is using an events based business to generate income that pays for Ecuador travel. The pay has certainly not been bad either. One event earned $142,260 in three days. In another instance we earned over $135,000 in two days. Once our earnings exceeded $200,000 in just three days. More often we bring in $10,000 for a weekend’s work. Event Full Business- How to Have a Seminar and Tour Business. Event – Full Business – How to have a seminar and tour business sells for $349, but in this special offer you receive both fully guaranteed online courses “Event – Full Business” and “Self Fulfilled” for only $299 and save $349. Self Fulfilled-How to be A Self Publisher. There are growing numbers of great stories about beginning writers using Kindle to sell their publications. You saw three above. The course includes 11 steps to creating the perfect product, including how to review ideas, test focus, and aim at markets. * How you can start with a very small amount of money and eventually work only four hours a day (if you are operating full-time). * Plus much, much more that I don’t have space for here! To help you start, I have created a special offer… our course on how to be a self publisher, our course on how to use the internet and a website in your business and six bonuses for you. Bonus #2: Get FREE, the $299 online course “The Tangled Webs We Weave – How to Have an Internet Business”. To read more about this course click here. Bonus #3: Our Super Thinking Workshop in an MP3 file so you can listen on your computer, burn a disk or listen on you Ipod or in your car. This workshop is a $199 value. Bonus #4: A special report only available to those who enroll in “Self Fulfilled” entitled “Three Secrets for Creating Publishing Ideas”. Bonus #5: We have created a special program so you can enjoy both our guaranteed online courses “Self Fulfilled – How to be a Self Publisher” and “Event Full Business – How to Have a Seminar and Tour Business”. 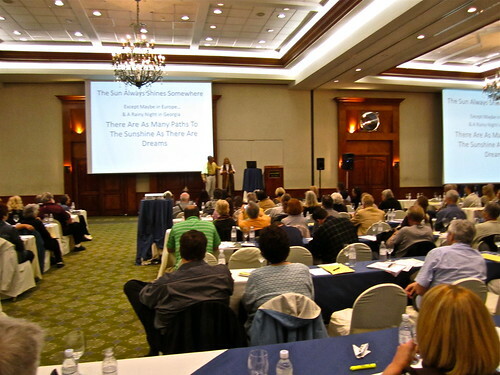 “Event Full Business – How to Have a Seminar and Tour Business” has been offered regularly at $349. When you order “Self Fulfilled – How to be a Self Publisher” at the regular price of $499 you receive all five bonuses at no extra cost. You save $946 total. Order Self Publishing: Your Complete Business Plan for becoming a self publisher and take a full 30 days to put it through its paces. That way you can follow my simple process and start seeing the results for yourself. If you’re not completely convinced that this information can help you develop income through writing to sell—all you have to do is let us know and you’ll receive a complete refund of every penny of your investment. Our publishing business has brought us more wealth, satisfaction, fun and friendship than we ever imagined possible. We want to share our knowledge and secrets with anyone who has a desire to experience this way of life.